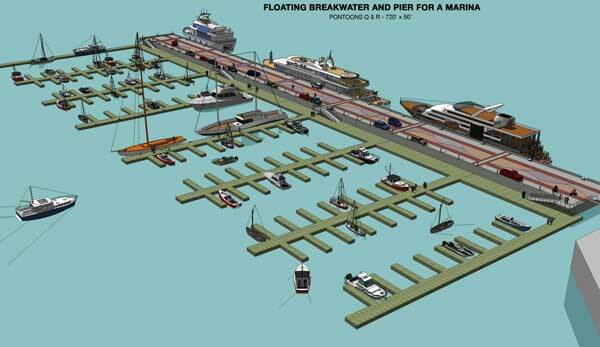 Breakwater lagoon marina is taking the normal floating marina walkways and breakwaters to the next step and moves the concept a bit farer out near a existing coastal city to provide a harbor, refuel, bait, tackle, and beer to a existing boating and yachting community. 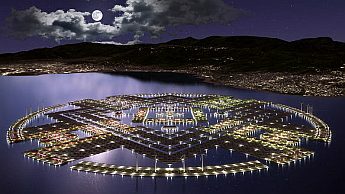 Floating structures of that nature do already exist. 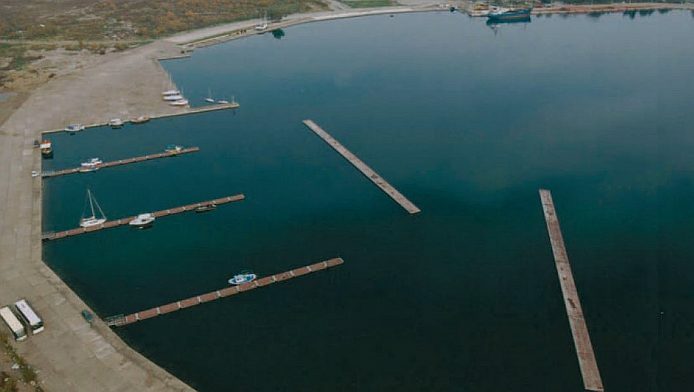 Some of them are situated in the protected waters of a bay, others like the ecofisk storage tank from the picture series above operate in extreme unprotected ambient of 30m design wave height. What are the structures in the pictures above for ? 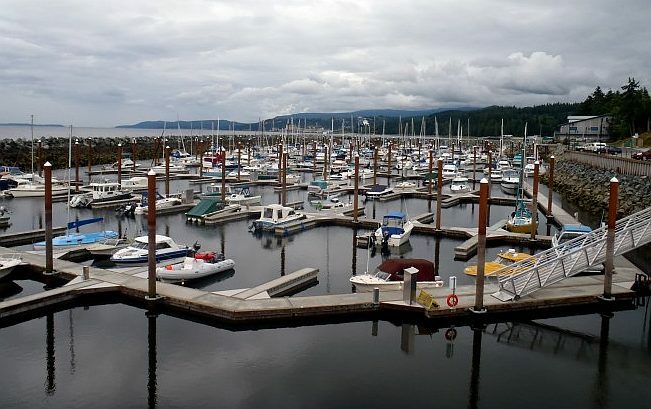 Are they really marinas or intended for something else? 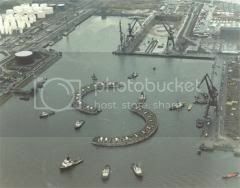 floating out precast elements and assemble them to giant structures has a long history one of the better known examples is the floating harbor for the D-day invasion that was shipped from england to france with the troops. 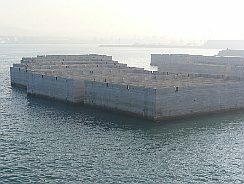 Mulberry harbour a giant floating cube element serving as breakwater. 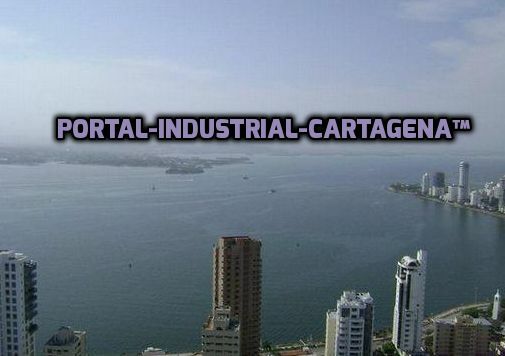 Newer examples: boxes floated out for costal wave defense and creation of artificial harbors. Stadion seastead - just a big plate the size of a football stadion (stadium) - has been built and floated out already - just for use as a storage tank - not a seastead. Ecofisk tank ring breakwater floating out into the north sea in segments to be assembled on site. 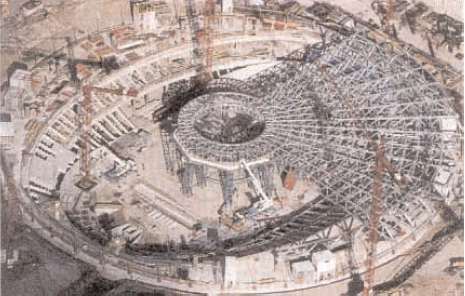 Waterworld film set - built in 6 segments - assembled in the high seas of hawaii, film made in the open water weather exposed relaying on the protection of the lagoon - later disassembled into 6 segments and towed over the pacific to San Diego. 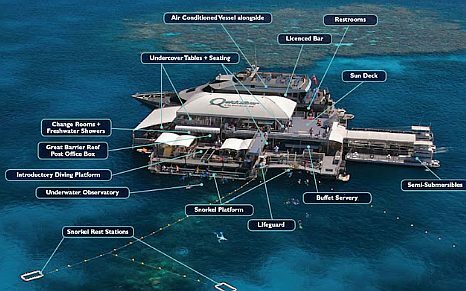 Great Barrier Reef Australia tourism floating platform. These concreteships are floating maintenance free since WW1/2 (concrete ships still afloat) steel ships from that period if not maintained under a strict 10 month paint job renewal shedule in drydock would have rotten and sunk decades ago. Hey Wil-actually they have not been maintenance free- although very minimal- they have had some area's replastered using gunite or shotcrete. I believe the "Quartz" had some sections redone. They do have to have rainwater pumped out and there are a team of people seeing to it that they are kept up...but to put it into perspective there is a steel ship below those ones that died and sank long ago. 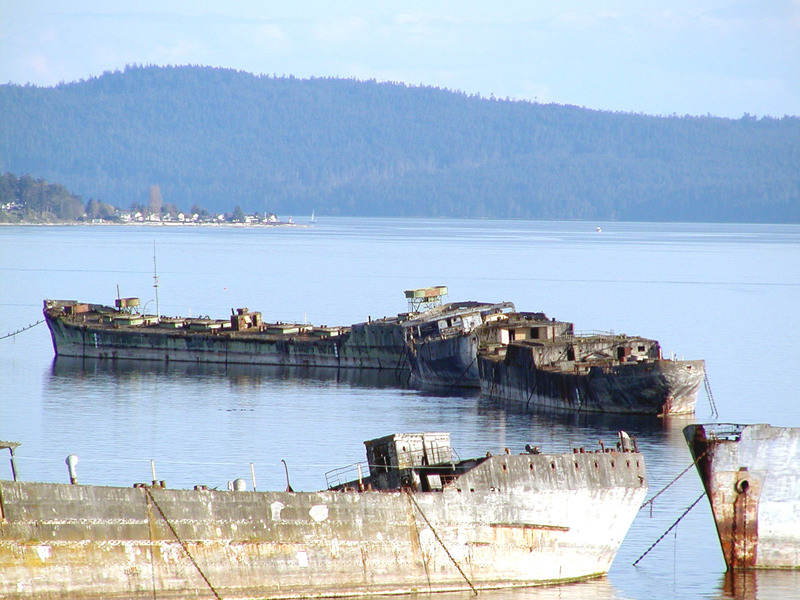 it is viewed by divers quite often...those ships in fact could be reconditioned into working ships even at this point. a lot of the armiture has ruisted out--but those hulls cannot be destroyed. 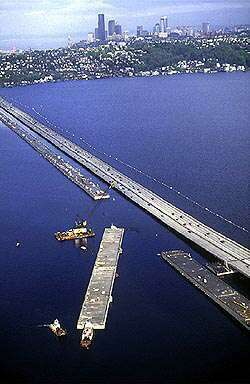 Those old concrete barges that where built to transport supply over the pacific in WW2 form a floating breakwater for a wood operation - the barges that move the trunks collide frequently with the hulls and some of that collisions made holes into the breakwater - those holes where repaired with shotcrete from the outside. There is a detailed report about that repair available on internet. The report mentions that the rebar of the hulls after 70 years afloat with no maintenance is in excellent shape - so good that you can read the mill stamp on the rebar in the section where collisions picked the concrete away. 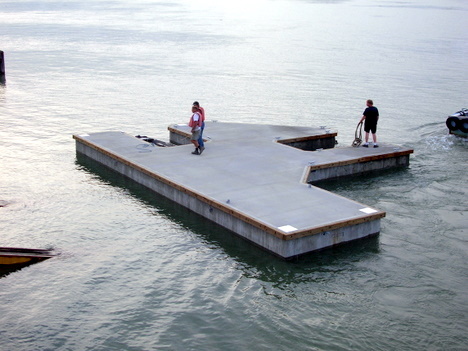 The powell breakwater is the oldest floating concrete shell structure we have in service - so what we get from there is first hand information how floating concrete structures deterioriate (or better absolutly not deterioriate) over long time periods. 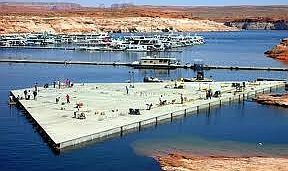 In fact the time of service for a floating concrete shell along the lines of the powell ships seems to be no different to any concrete building on land. 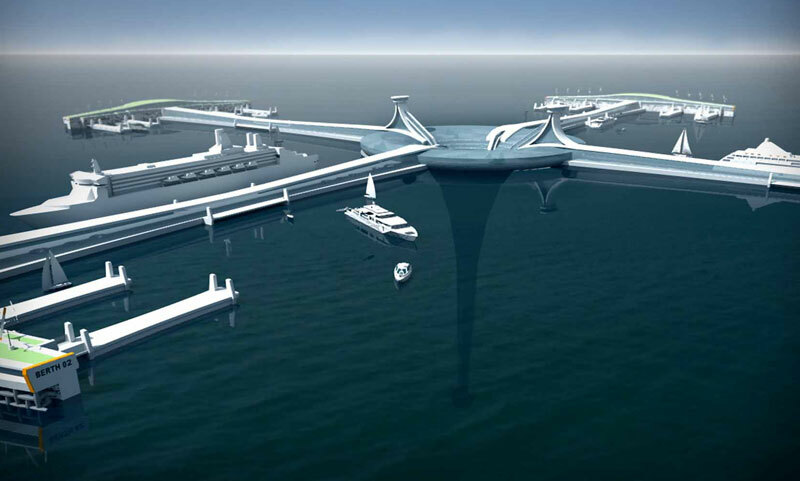 This is important for seasteading and ocean colonization in general. 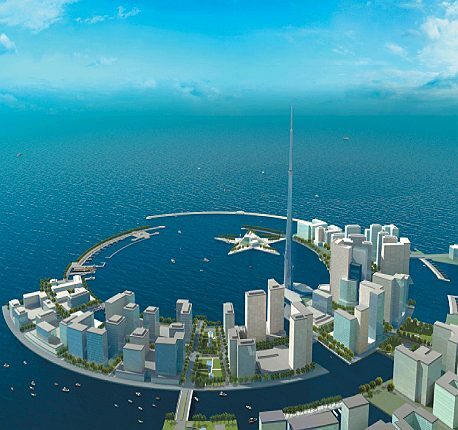 Because ocean colonization is a Real Estate development project in its nature. So the time of service of the structures is of essence. If you build a house on land you expect to heridate this living space to your children. 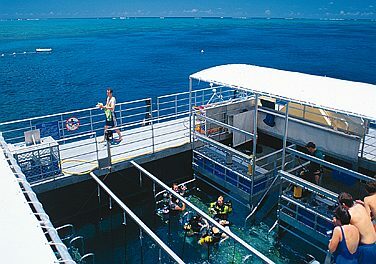 On the other hand any naval steel building structure (ships, oil platforms) is not supposed to live longer than 15 years - and it is supposed to undergo a complete service in drydock every 10 months during that service life or be maintained by divers changing anodes at sea in a even more expensive process. If you skip that tight and costly maintenance shedule for a steel structure in marine environment the structure will rust trough and sink within 2 years so not exactly what you need for a "real estate development". This has a huge impact on the calculation of cost per squaremeter living space per day of service life. There is a factor 100 in cost difference between a steel shell and a concrete shell. 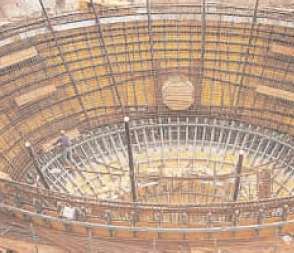 Concrete engineering today is settling to asign a 200 year maintenance free service life to floating concrete shell structures in marine environment. 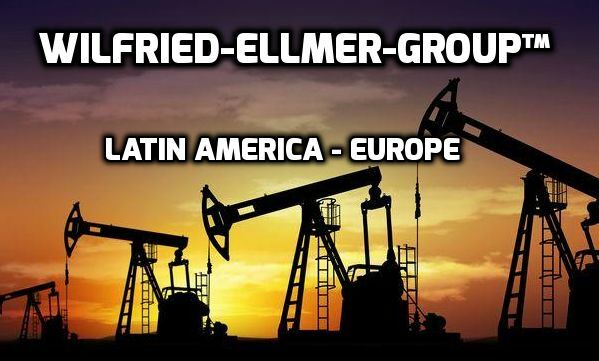 This is based on the experiences of the powell ships and several dozends of concrete oil platforms in the north sea. 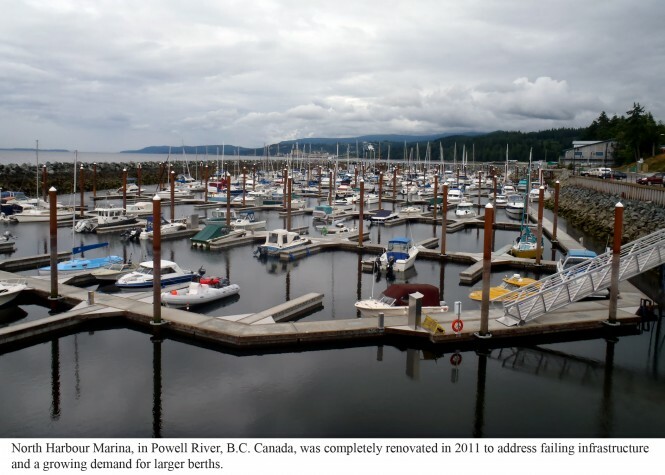 Yachts and visitors to Canada’s Powell River are enjoying the city’s new marina facility at the North Harbour. 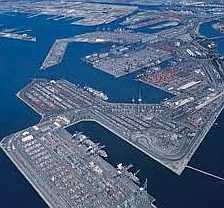 The yacht harbour was completely renovated to address a growing waiting list for larger berths and a failing infrastructure. 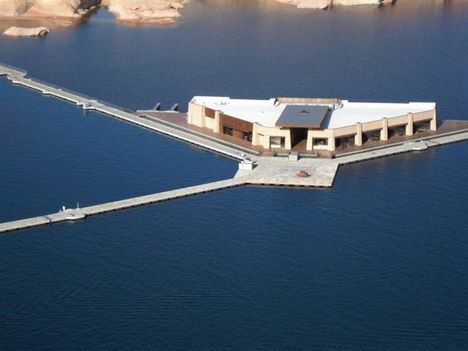 Bellingham Marine, world renowned marina builder, supplied its Unifloat, concrete floating dock system, for the project. 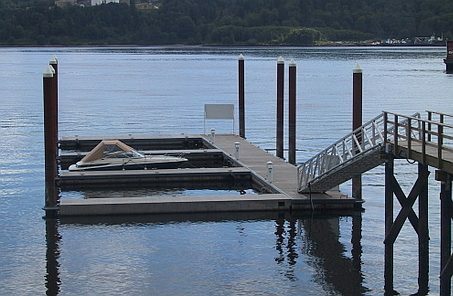 Plastic floating docks are quite common in small scale waterfront development. Their drawback is the limited service lifespan of only a few years. 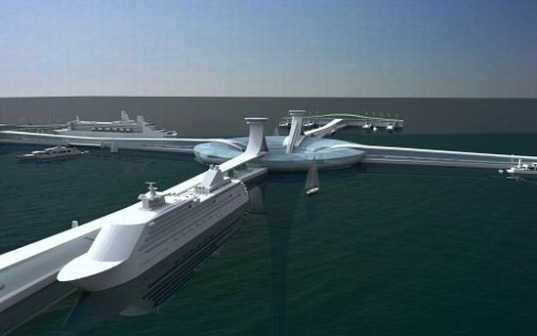 But they clearly show the way where heavy duty concrete dock developments will go. 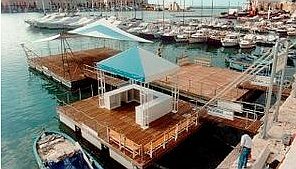 What is now implemented for a "watertoy ambient" in plastic - can be implemented for industrial load terminals, harbor installations, floating islands for tourism purpose and all kind of floating structures, modular approaches will be key, service life of the installation of 200 years (only concrete can give that) will be required. Dique seco astillero navantia Cadiz. 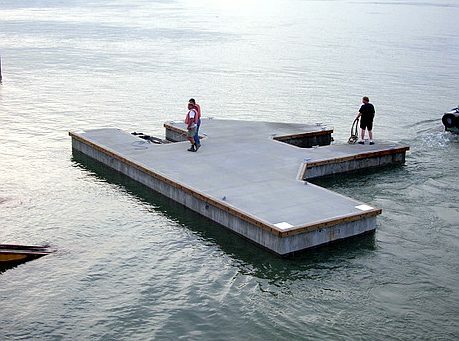 many items can be float the surface.like ship, shipping building and marine structures. 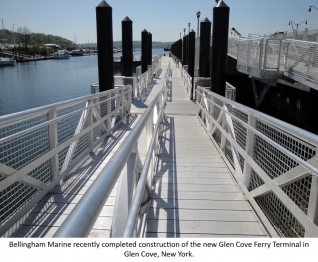 Bellingham Marine recently announced the completion of Glen Cove Ferry Terminal in Glen Cove, New York. 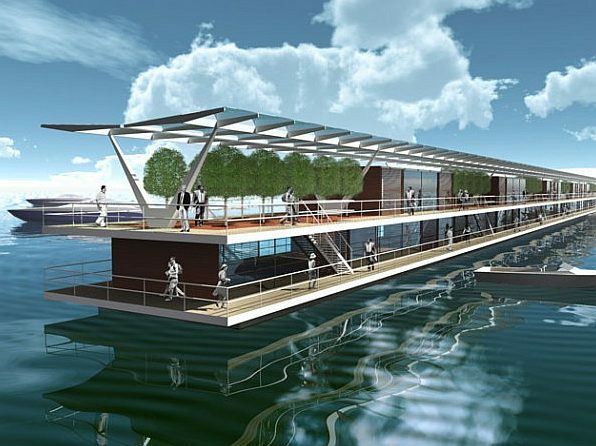 The new floating ferry terminal is a story of perseverance and innovation. After 20 years in the making and several years of construction delays, the state-of-the-art terminal is complete and ready to welcome boats. Designed to accommodate multiple ferries up to 100 feet in length and passenger loading and offloading, the terminal at Glen Cove offers a relatively unique design solution in ferry terminal construction. 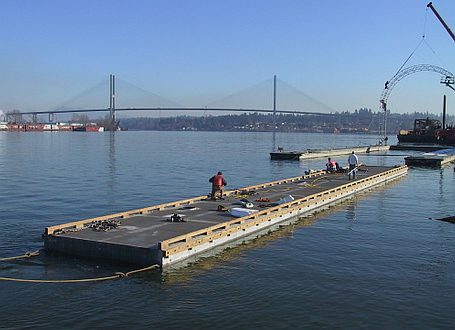 The terminal features a 15 foot wide by 375 foot long floating concrete dock that sits five feet above the water and a 31 foot by 30 foot match-cast floating loading platform. 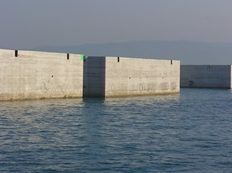 The massive concrete floats used for the project measure over 9 feet tall and are anchored by 20 inch steel pile recessed into the concrete platform. 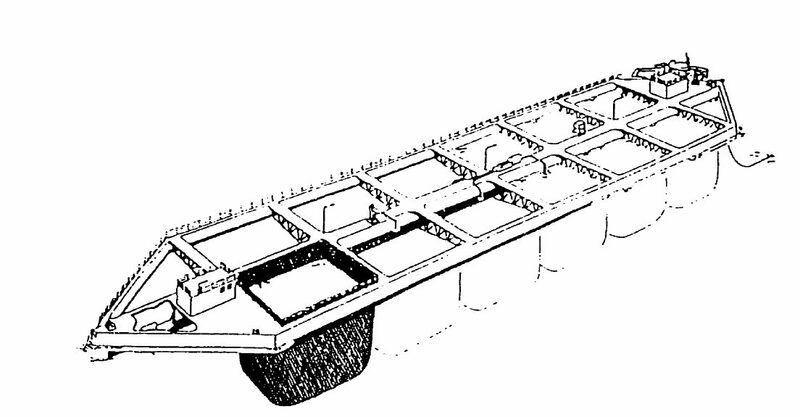 An elaborate ramp and railing system as well as custom fender system, which allows the boats to pull in bow first, were also integrated into the floating structure. The fender system is composed of multiple 12” rubber fenders mounted to galvanized steel brackets attached to the side of the concrete floats. 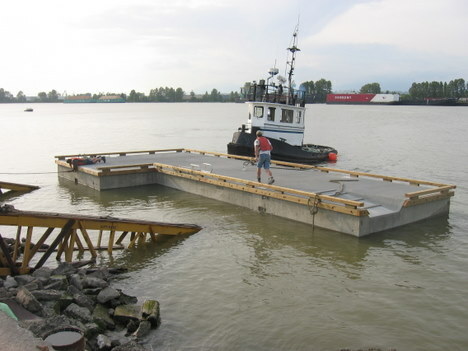 The specially designed system provides a well-protected landing for the ferries and accommodates easy loading and offloading. 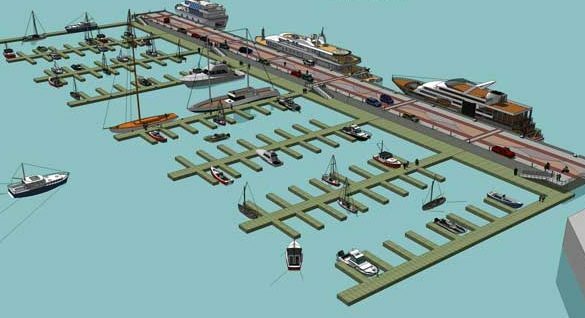 In addition to the floating terminal, the project included work to increase the width of the channel, a new bulkhead, improved public access, a terminal building and parking facility. Chesterfield Associates from Westhampton Beach, NY was hired as the General Contractor. 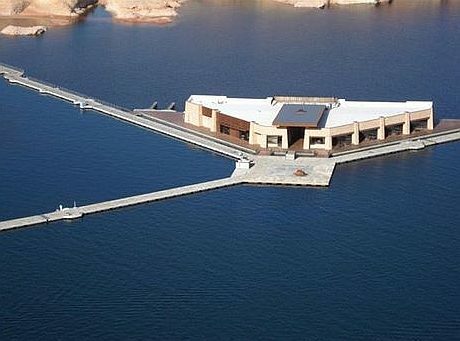 Bellingham Marine was responsible for the design and construction of the floating terminal. 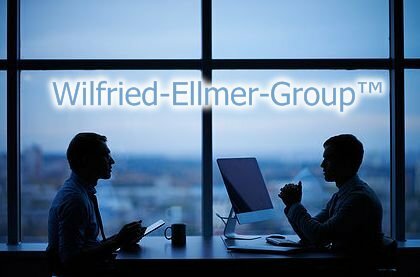 The success of the project is a testimony to the dedication of the many people who worked to make the project a reality. 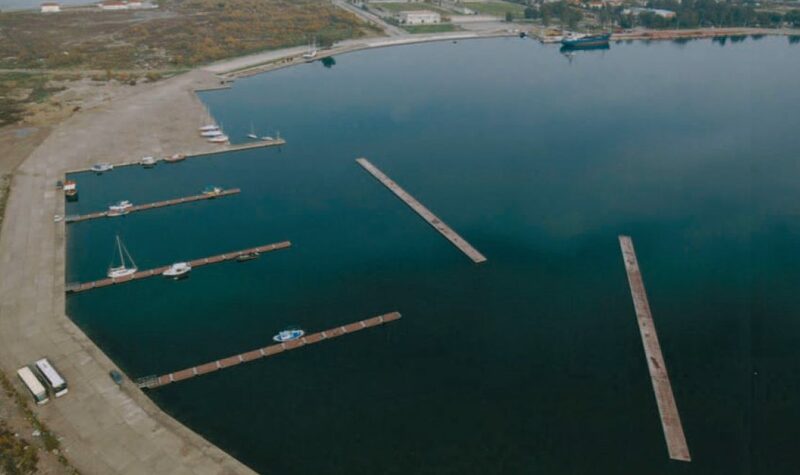 According to City officials, the new terminal lies on a portion of land that was among the most highly contaminated industrial areas in the state of New York. With the help of many supporters the site was completely remediated and opened up for commercial use. 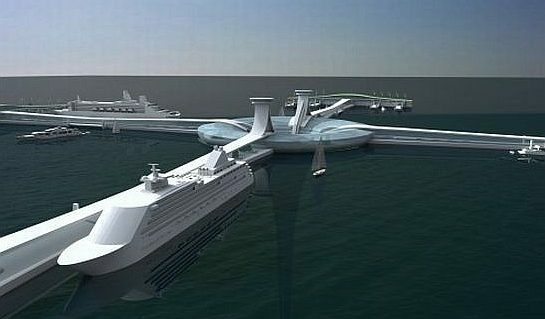 The city plans to begin using the new terminal in 2013 to provide service between Glen Cove and key metropolitan centers in Long Island Sound including the city of Manhattan. 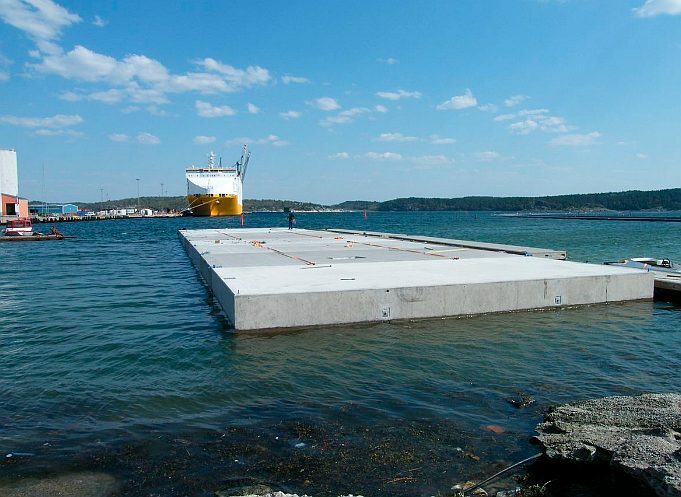 As the world's leading marina design-build construction company, Bellingham Marine produces Unifloat® concrete floating dock systems as well as timber and metal frame systems. 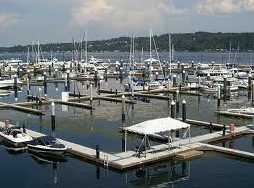 The company also produces Unistack® dry stack systems for marinas worldwide.